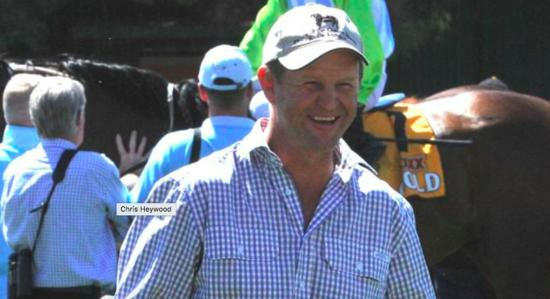 It’s not too often a trainer has the opportunity to win a race that he sponsors but that’s the scenario for Chris Heywood at Wagga on Thursday. In fact, not too many trainers sponsor races so Heywood is a bit of an exception to the rule but at the Australia Day meeting he can mark the nation’s biggest day of celebrations with a win at his home track. “This is the third year I have sponsored a race and the first time I have had a starter in the race,” Heywood said. Heywood will have four starters on Thursday and while Delivered isn’t his best hope he is confident of a forward showing with an improved barrier draw in gate five. Outside of Delivered, Heywood will also be represented by Kruanui who is bursting to win his first race after some close-up recent efforts. Kruanui has found another suitable race and after five placings from ten starts, his trainer is hoping Thursday is the day for win number one. He will also have Fermanagh Lad and debutant Piquant starting. Fermanagh Lad has been consistent this campaign with a recent win at Cootamundra to his name while last start he finished sixth behind Didn’t Even Kiss Me at Wagga. If Fermanagh Lad can win, Heywood would consider a race like the Country Championship qualifier which will be held at Albury in March. “He is a horse that is on the way up. He needs to win on Thursday to show he could compete in a race like that,” Heywood said. Stable apprentice Lily Coombe will ride Fermanagh Lad from the inside barrier. There will be seven races at Wagga with the meeting coinciding with the metropolitan meeting at Randwick. Racing will be held on the Riverside track with the surface rated a good 4.